The Hyundai Kona made its public debut at IAA 2017 in September. This month, the new small SUV was on display at the 2017 Dubai Motor Show for the Middle East audience. 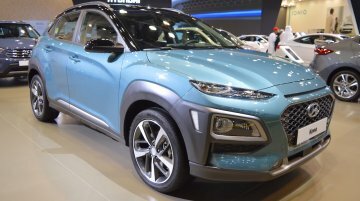 The Hyundai Kona is.. 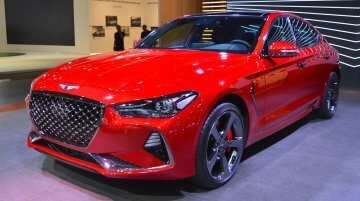 In September this year, Genesis introduced its first sports sedan - the Genesis G70. At the 2017 Dubai Motor Show this month, the Genesis G70 had its Middle East debut. The Genesis G70 is the.. 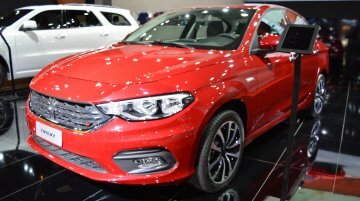 In September last year, Dodge launched the 2017 Dodge Neon in the UAE. The compact sedan was on display at the 2017 Dubai Motor Show in the country this month. The 2017 Dodge Neon is exactly.. 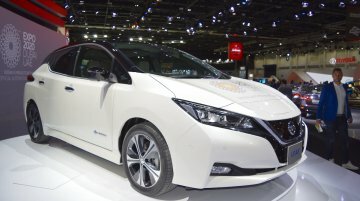 The 2018 Nissan Leaf had its Middle East debut at the Expo 2020 Dubai site on 12 November, 2017. Just two days later, Nissan had put it on display at the 2017 Dubai Motor Show. 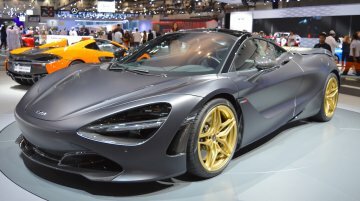 The 2018 Nissan..
McLaren introduced a unique McLaren 720S designed by the McLaren Special Operations at the 2017 Dubai Motor Show earlier this month. The MSO Bespoke McLaren 720S was destined to a customer via McLaren.. The Alfa Romeo Stelvio Quadrifoglio went on sale internationally at the beginning of this month. 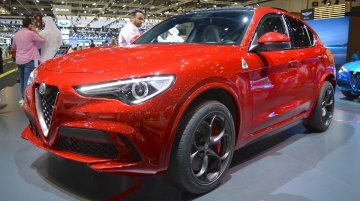 Weeks after the sales launch, Alfa Romeo displayed its first SUV’s high-performance variant at the.. 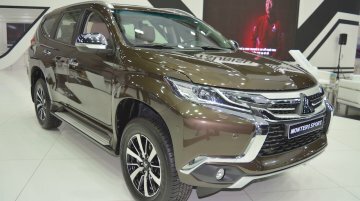 Along with the sporty Mitsubishi Eclipse Cross, Mitsubishi displayed the rugged Mitsubishi Montero Sport at the 2017 Dubai Motor Show. The Mitsubishi Montero Sport is 4,785 mm long, 1,815 mm..
Volkswagen showcased the VW Tiguan R-Line at the 2017 Dubai Motor Show last week. The VW Tiguan R-Line is already on sale in the UAE. 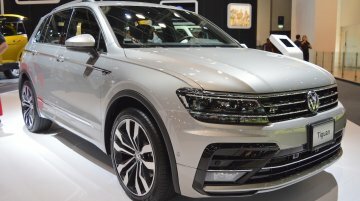 Volkswagen sells the VW Tiguan in the UAE in S 1.4, SE.. The Jaguar E-Pace made its Middle East debut at the 2017 Dubai Motor Show last week. 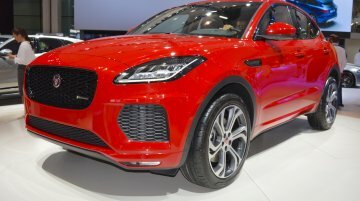 Jaguar showcased the Jaguar E-Pace First Edition at the show. The Jaguar E-Pace First Edition is the fully..
MINI displayed the 2017 MINI John Cooper Works Countryman at the 2017 Dubai Motor Show. 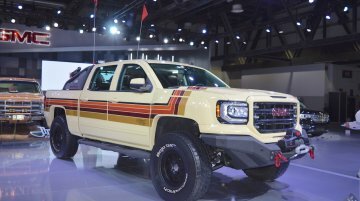 The display model was equipped with a special edition AirTop two-man roof tent from the Italian brand..
At the 2017 Dubai Motor Show last week, the GMC Desert Fox Middle East concept had its world premiere. GMC has created the concept exclusively for the Middle East region. 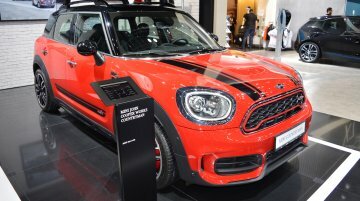 The GMC Desert Fox..
MINI’s highlight at the 2017 Dubai Motor Show was the MINI John Cooper Works GP Concept. The new concept car was originally unveiled at IAA 2017 in September. 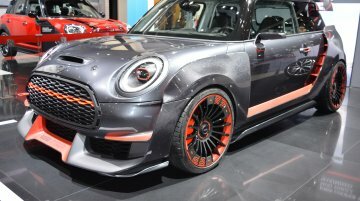 The MINI John Cooper Works GP.. The eighth generation Rolls-Royce Phantom had its Middle East debut at the 2017 Dubai Motor Show last week. 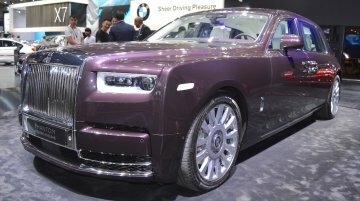 Rolls-Royce showcased the 2018 Rolls-Royce Phantom EWB at the show. The eighth-gen..
Ford showcased the 2018 Ford F-150 Limited at the 2017 Dubai Motor Show. The facelifted Ford F-150 debuted at NAIAS 2017 in January. 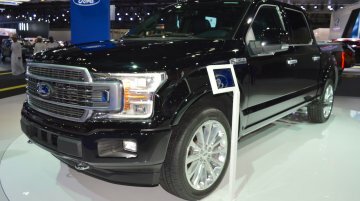 The 2018 Ford F-150 Limited is the top-of-the-line.. 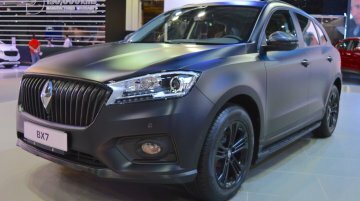 Along with a chrome-plated Borgward BX5, Borgward displayed a matte black Borgward BX7 at the 2017 Dubai Motor Show. In addition to a matte black body paint, the display model featured black alloy.. The 2018 GMC Terrain Denali had its Middle East debut at the 2017 Dubai Motor Show last week. The all-new GMC Terrain Denali is now available in the UAE. 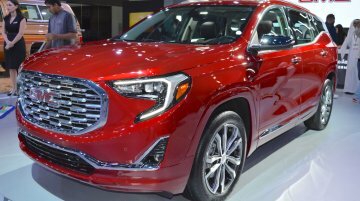 The 2018 GMC Terrain Denali is the.. 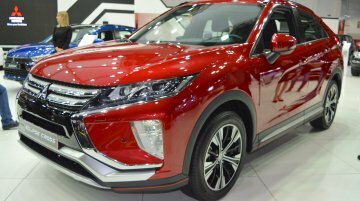 The Mitsubishi Eclipse Cross had its Middle East debut at the 2017 Dubai Motor Show. Mitsubishi had introduced the new compact SUV at the 2017 Geneva Motor Show in March. The Mitsubishi..
BMW showcased an accessorised BMW 6 Series GT at the 2017 Dubai Motor Show. 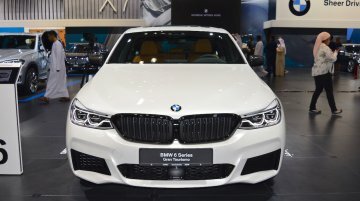 The company had introduced the 6 Series Gran Turismo in June. The BMW 6 Series Gran Turismo is the successor to the..